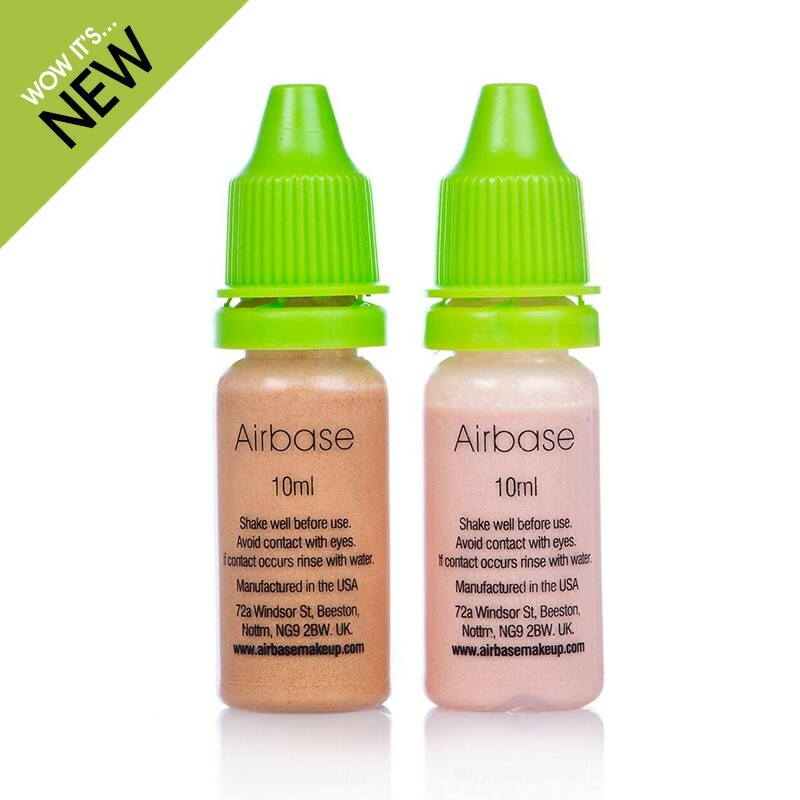 Airbase Highlighters can be used on their own by shaking the bottle extremely well and putting a few drops into a clean airbrush. Alternatively, they mix beautifully with Airbase Foundation, Blush or Bronze. Just add the desired amount into the airbrush cup with your foundation shade and mix using a cocktail stick. Top-tip: Apply to high points of the face and layer if you want more sheen. Also perfect when used on the body.